It’s no secret that homes with beautiful landscaping are more eye-catching than homes with empty yards. Lush foliage and vibrant plants create a welcoming environment before you even enter a home. Of course, not every house comes with a spacious front yard, and not every homeowner has the budget for professional landscaping. But if you live in an apartment, condo, or a house with limited yard space, a fuss-free container garden is the perfect way to dress up your home’s exterior. What exactly is a container garden? We’re glad you asked. As the name suggests, a container garden is a method of gardening that doesn’t rely on ground space to cultivate plants. 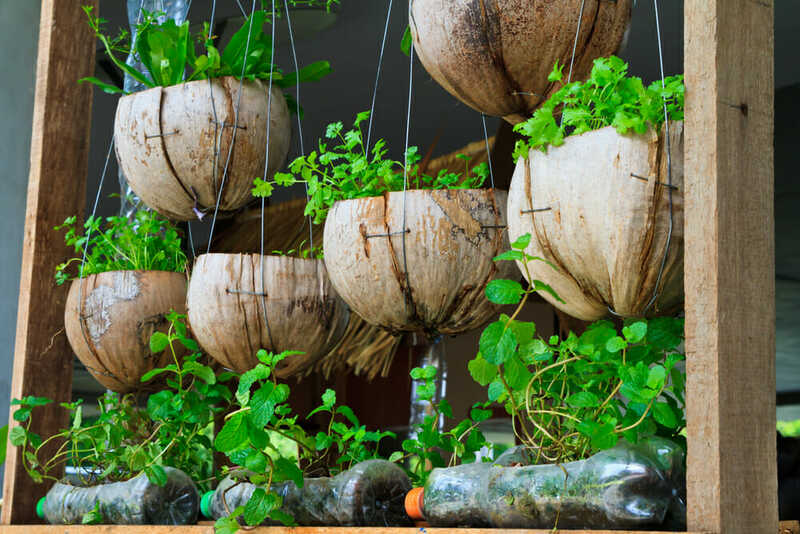 Instead, plants grow in a variety of pots and planters arranged in a visually pleasing way. When done correctly, container gardens are cost-effective and easy to maintain. Here are some tips for creating your own container garden to take your home from the neighborhood eyesore to the king of curb appeal. The first step to creating a container garden is to choose your containers. 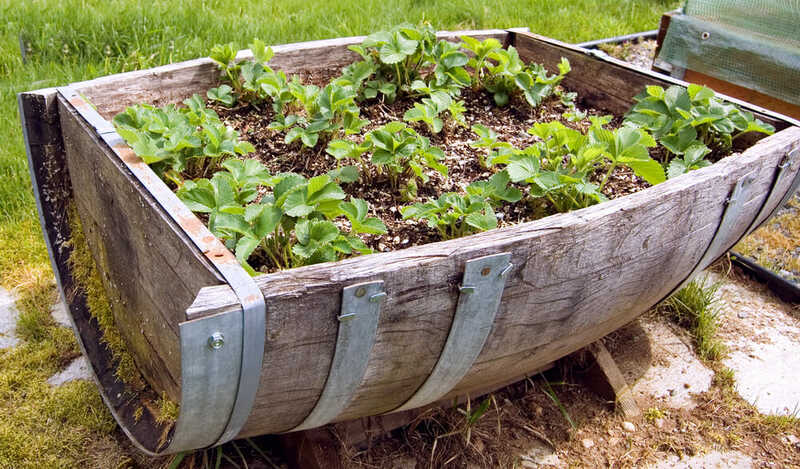 Repurposing items like old wheelbarrows, watering cans, and baskets is a unique and eco-friendly way to customize your planters. Like the sleek, modern look? Use clear glass square planters. More of a traditionalist? Try a collection of various-sized terra cotta pots or stone urns. Whatever style you choose, the one thing to keep in mind is that your planter will need to have a hole in the bottom to drain excess moisture. Once you’ve got your planters figured out, the next step is to fill them. 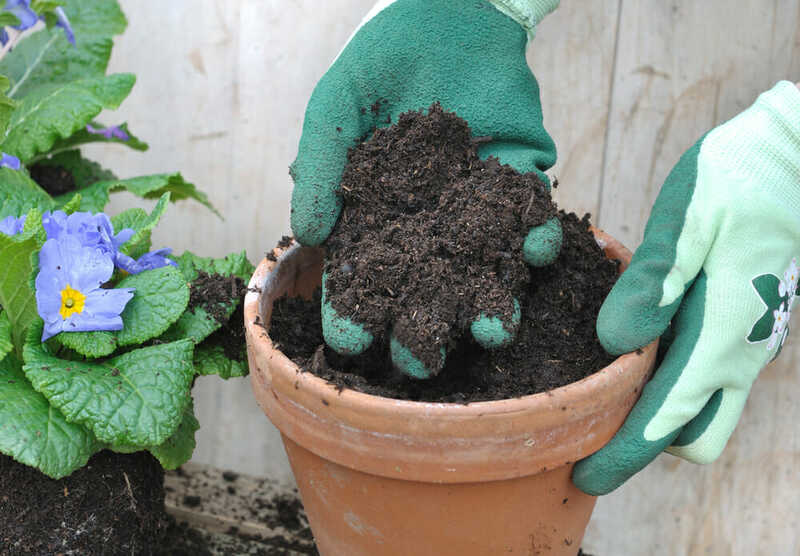 Container-grown plants won’t receive the same nutrients from the soil that a plant in the ground naturally receives, so be sure to choose potting soil that contains the extra nutrients those plants need. If you plan to grow any edible plants in your containers, you might want to consider using organic potting soil to avoid chemicals on anything you might later want to eat. Another great way to keep your soil full of nutrients is by composting. Something as simple as throwing in the leftover coffee grounds from your morning coffee can enrich the soil and help your garden thrive with minimal effort. Part of the appeal to container gardens is that you don’t have to spend a lot of time maintaining them to keep them looking nice. This is partly because the types of plants that thrive in an out-of-the-ground environment are hardy and don’t require a lot of attention. 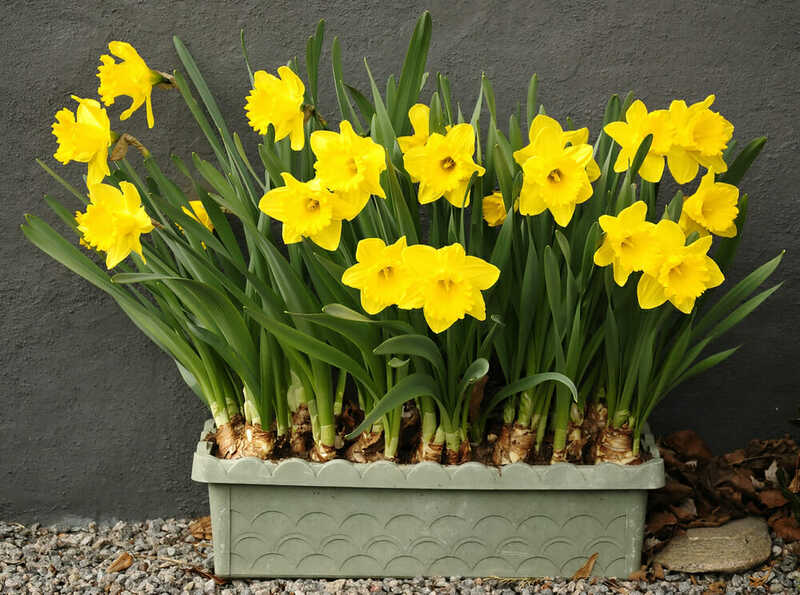 You should also stick to perennials, which will bloom year after year, meaning your up-front investment will pay off in the form of a colorful garden that will continue blooming for years to come. Some examples of hardy perennials include: primroses, daffodils, snapdragons (if you are in a moderate climate), flowering cabbages, bleeding hearts, and asters. Many people assume that you can only grow herbs and vegetables if you have a large garden or impressive gardening skills. In fact, many herbs and vegetables grow well in containers and have the added benefit of being useful. The vibrant orange-red of a ripe cherry tomato is eye-catching and gives off a healthy, wholesome vibe that brings new life to your home’s exterior. Herbs like mint, thyme, oregano, chives, and sage will add a delicious fragrance to your container garden, while vegetables like tomatoes, onions, carrots, and beets add an aura of abundance to even the smallest space. The visual appeal of container gardens is found in creating balance. This goes for how you arrange plants inside the pots as well as how you arrange the containers in your yard or on your porch. Think about the arrangement the same way you would think about posing for a big family photo. Keep your taller plants towards the back and center of the arrangement, with smaller pots and plants flanking the sides. Like most forms of art, arranging your container garden is about seeking symmetry. Place pots with the same plants in them on either side of a set of stairs, a walkway, or a door. Arrange smaller pots in groups of three, varying the sizes or staggering them on different steps to change the height. Don’t forget about hanging planters! A porch with an overhang is a space that’s begging to hold some lush hanging plants. Hopefully these tips have gotten you thinking about starting your own container garden and how you can work it into your life and decorating style. 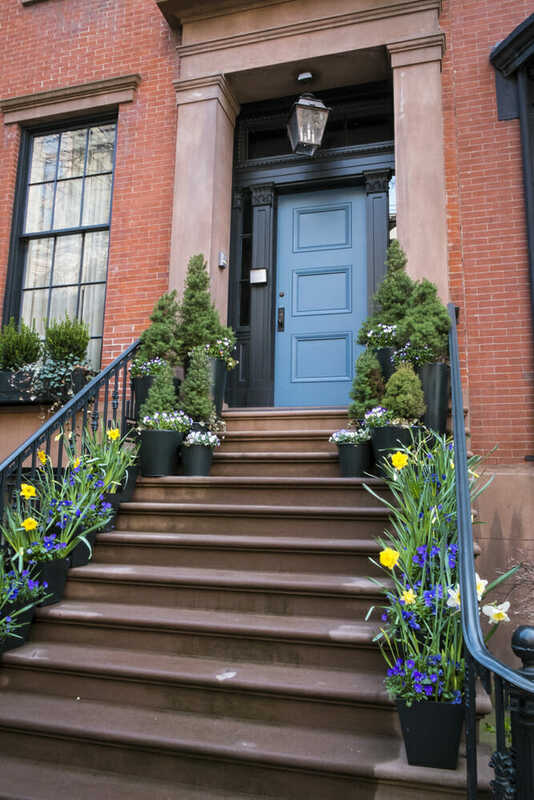 Adding even a few potted plants to your entryway can spruce up your home’s exterior in a colorful and dynamic way, so what are you waiting for? 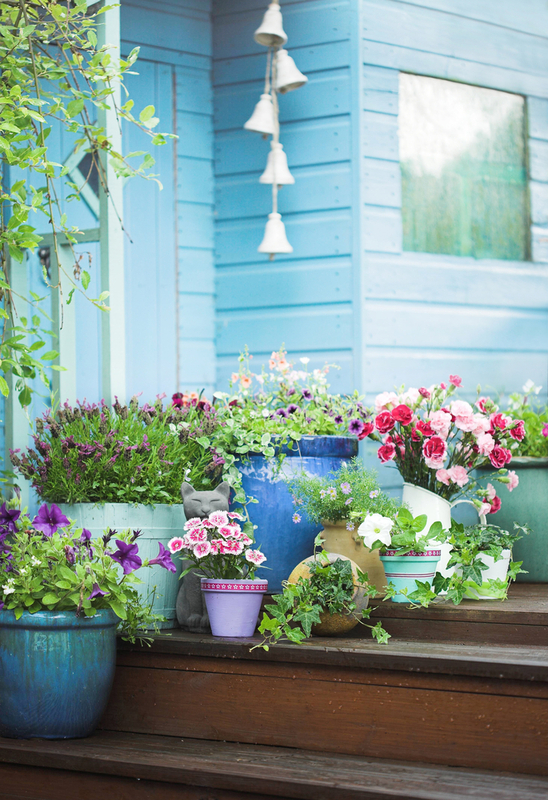 If you already have a container garden, we’d love to hear your personal tips and tricks!